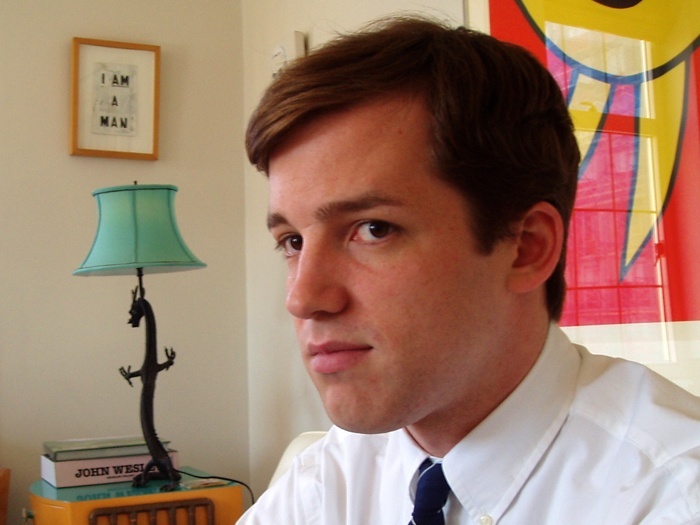 Thomas Beard is the co-founder of Light Industry and co-curator the current Whitney Biennial’s film program. The work he has presented via Light Industry, independent gallery shows, and the Biennial has addressed the intersection of contemporary art and film, highlighted female filmmakers who have been historically overlooked by the mainstream, as well as a recontextualized Hollywood film. I recently spoke with him about ideal viewing conditions for a film, curating vs. programming, celluloid and its (dis)contents, Occupy Wall Street, and of course, some of his favorite films. The Whitney Biennial runs through May 27. Joan’s Digest: How did your collaboration with curators Elisabeth Sussman and Jay Sanders come about? Did they give you any directives or guiding principles for selecting work? Thomas Beard: It’s interesting how it began. In December of 2010, when Jay and Elisabeth had just begun working on the Biennial, they contacted Ed [Halter] and me to arrange a meeting, when they were having lots of different meetings with writers and artists and curators. This very casual meeting soon became this spirited, hours-long discussion about how film had worked or not worked in previous iterations of the show. Then a few weeks later, Jay sent us an email asking us to organize the film program with them. Of course we were thrilled, because it was an exciting opportunity to work on the Biennial, but in particular to work with Jay and Elisabeth. Elisabeth is a curator that I admire tremendously—actually the first catalogue that I ever owned was the book that was published in conjunction with the Nan Goldin show that she organized at the Whitney in the 90s, which I just pored over endlessly. Likewise, Ed saw the Situationist show that she organized in the late 80s at the ICA in Boston when he was a teenager and it was also hugely influential for him. And Jay is just one of the most interesting curators in the city. He’s done so much for film being a bigger part of the conversation surrounding contemporary art. It was very much a collaborative effort between the four of us. In the past the film program had been organized separately from the rest of the exhibition. So while film was sometimes prominently featured in the Biennial, it was also segregated, even in terms of the curatorial process. One of the things we wanted to do was have the film be in conversation with all of the other works in the show. The Biennial is very unique as an exhibition in that it’s an opportunity to think about new American cinema relative to contemporary developments in painting, sculpture, photography, and performance. So you can think about Frederick Wiseman relative to LaToya Ruby Frazier. Or Kelly Reichardt relative to Richard Maxwell. Or Nathaniel Dorsky relative to Vincent Fecteau. That’s something we really wanted to draw attention to, because that’s what is so unique about the show. I think something else we wanted to accomplish was to organize a film program that reflected the range of what constitutes cinema today, which could be documentaries of someone like Frederick Wiseman, or the lo-fi videos of someone like George Kuchar, or a revisionist Western like Kelly Reichardt’s Meek’s Cutoff. The Biennial provides an opportunity to consider these works alongside one another in a way that even the film world doesn’t offer, and to think about them together, as coming out of the same moment. JD: I noticed that a lot of the filmmakers also have installations and pieces in the Biennial, such as Luther Price, Charles Atlas, and Moyra Davey. Did you also curate these installations? Thomas Beard: In some ways. For instance, I don’t believe that Luther Price has ever exhibited the slide pieces publicly. We brought up Luther for his films, because he’s primarily known as a filmmaker, and the films that we’re showing are these unique objects—they are not films that he’s made prints of, they are just hand-altered. So we brought a bunch of the reels to the Whitney to watch with Jay and Elisabeth. At the same time, Luther had given Ed sheets of these slides that he had been working on. After we screened the films, Elisabeth just glanced over at the slides and asked, “What are these?” And that just initiated this process of Luther’s slides being a part of the rest of the show. I think that’s nice because I feel like it’s very emblematic of the work in the cinema reaching out into the galleries, and vice versa, but also maintains an ideal viewing environment for the film. I think the impulse of having films being looped in a black box as part of an exhibition is understandable, because there is a desire to present works side by side. Yet a problem arises when you’re presenting a film that wasn’t meant to be looped as a loop, and it does a great disservice to the work. How a film is edited and structured in time is obviously one of the crucial decisions that an artist working in that medium makes. It really undercuts the work for someone to see a random fragment of it. One of the jobs of a museum is to provide an ideal context for viewing art, and if a museum abdicates that responsibility, then whose job is it? If you can’t see a film in the best possible conditions at a major museum in New York, then where can you see it? That was definitely something that was always in our minds when putting together the show. JD: Though the Whitney has a long history of exhibiting avant-garde film, this Biennial is a departure in that the films will be given week-long runs in the Whitney’s second floor screening room. Can you talk more about the reasons for this shift in exhibition practice? Thomas Beard: One of the things that the four of us wanted to do was to give people multiple opportunities to view works. Because sometimes you would have a situation in which someone would have a 10-minute film that was part of some program that showed a few times over the course of three months, and it was very easy for that work to get lost. So what we decided to do was to make it very straightforward where you had one artist each week. Each film would effectively get what amounts to a week-long run. That whole schedule was designed to rhyme with the concurrent performance schedule, so someone could plan a trip to the Whitney and see the show, a performance, and a screening on the same day. In a way one of the key aspects of this Biennial that makes it a departure from ones in the past is that there’s an effort to take these things like film and performance, which had certainly been featured in past Biennials but had a sort of peripheral status, and then take those margins to the center. And by doing so, they’re featured as prominently as works that are on view for the entire duration of the show. 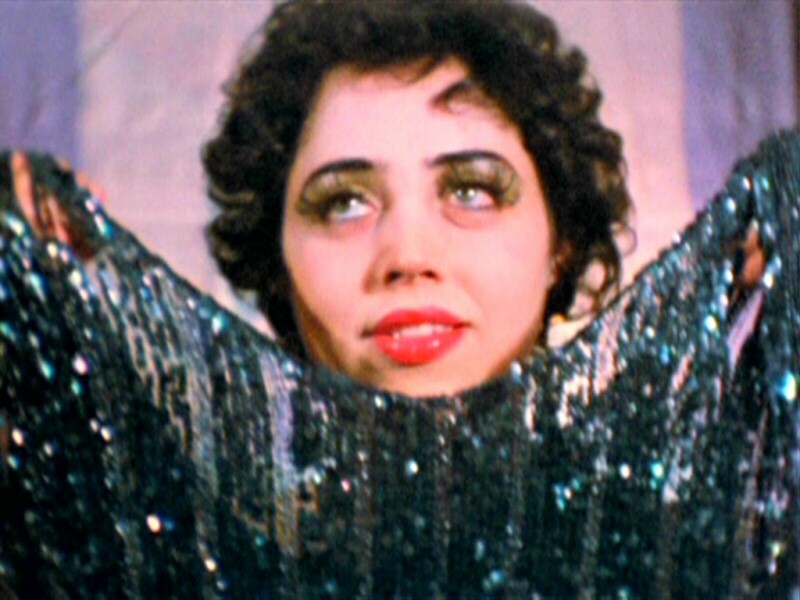 The film and the performance were organized with each other in mind. In some cases, the connections are very direct—with Charles Atlas, for instance. JD: As a curator, it seems like a big challenge to bridge the distance between a fine art or a museum setting and the setting of movie theater. For me, it was truly surprising to see certain feature-length, narrative films as part of the Biennial—such as Kelly Reichardt’s films or Matt Porterfield’s Putty Hill. Can you talk more about why these films are important as American art? 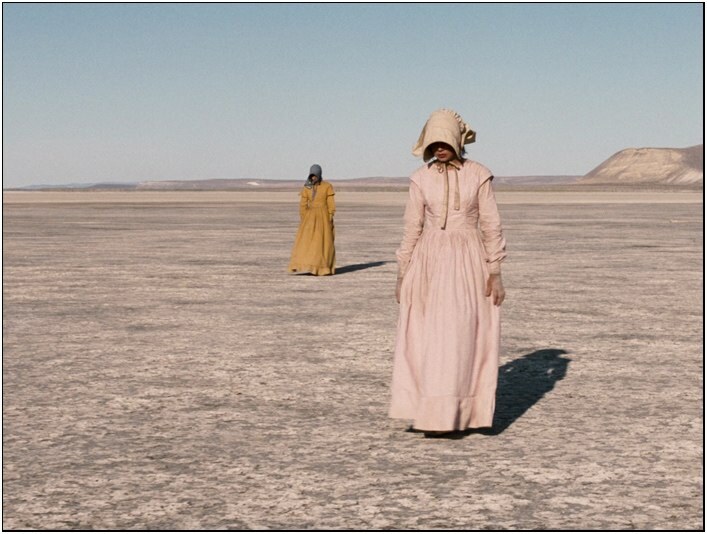 Thomas Beard: I think the inclusion of work like Kelly Reichardt or Matt Porterfield is significant, because as you’re saying, narrative, feature-length film often circulates in a different set of venues, and often circulates outside of contemporary art. Yet it was important to include them for a couple of reasons. First, it was really getting back to the roots of the Whitney’s film program. Charles Burnett’s Killer of Sheep, Yvonne Rainer’s Kristina Talking Pictures—a lot of really important American independent films had their first runs at the Whitney. In a way, we were just doing something that the Whitney already had a long tradition of doing. I also think that as more and more artists work with film and video and draw upon the codes, conventions, and visual grammar and history of narrative cinema, it’s important to think about independent filmmaking alongside these other practices. This is a slightly different case, but for this show at Gladstone I curated (“The Unfinished Film”), I showed Queen Kelly, a von Stroheim film. I love von Stroheim, but I feel like it was important to show it in Chelsea, because typically you’d never see a von Stroheim film there. I wanted people to see it alongside the work of an artist like Kenneth Anger, a much more familiar figure to people interested in contemporary art. Someone like Kenneth Anger isn’t simply using Hollywood as an allusion or fodder, but drawing upon—and of course perverting—a formal vocabulary that is established by directors like von Stroheim. JD: What do you think are the significant distinctions between curating and programming? And do you even think that’s a useful distinction? You can talk about this in relation to your show at the Gladstone or the Biennial, or both. Thomas Beard: Well to my mind, those words are often very interchangeable to me. It’s more typical to say that if someone organized a series of screenings at BAM, they programmed it. And if they organize a series of screenings at Artists Space, they curated it. The difference between those two words is often context. Even just the word curate has ascended in a way that I think is a little unfortunate—such as DJs curated by Flavorpill. JD: But in a way, your curatorial goals are predicated on a desire to connect those two worlds. Thomas Beard: Oh, absolutely. I think one of Light Industry’s main goals is to bring together different audiences in New York. Ed and I noticed that there were so many amazing things happening in the city, with such a vibrant film culture and a major center for contemporary art at the same time. Yet you would go a screening one night, a show on another night. And we realized that we were traveling between two different worlds that either didn’t overlap or overlapped far less frequently then they should. If you’re up for a ten-hour Béla Tarr film, you’re probably also game for a Paul Chan lecture that’s happening across town. So we wanted to have all this different kind of work we were interested in share the same space, and exist together on the same calendar, in the hope that someone would come for this Cory Arcangel performance, and return for a Straub-Huillet flm that they might otherwise not have seen, and vice versa. That’s something that I’m really proud of with Light Industry, because that has happened. JD: Let’s talk about celluloid. A lot of the work insists on the materiality of film, and seems almost nostalgic for the materiality of celluloid as it is slowly phased out. Thomas Beard: It gives me pause when people talk about nostalgia relative to celluloid. As though an artist working with film or 16mm specifically, their work is necessarily nostalgic. First of all, we have to consider what nostalgia means. I think that nostalgia is about a fear for the present and a yearning for the past, but usually a yearning for a simplified view of the past. In many cases, that’s not at all what’s going on with these artists working with these materials. Film might not have even been a part of their lives growing up. So they’re not looking to regain it necessarily. What’s more, to consider something like 16mm as no longer relevant because it’s been usurped by more recent technology is a little ridiculous. It kowtows to the fundamental logic of consumer capitalism. JD: But it seems like a majority of the work is in 16mm, or in other formats that are becoming obsolete. Thomas Beard: That’s interesting, and I guess it speaks to the range of ways an artist can approach these materials. With someone like Luther Price, he’s making these films that are unique objects—they’re sort of like living things that decay like we do. Whereas an artist such as Michael Robinson, his work is about a formal integration of film and video, and working in multiple visible registers simultaneously. An artist like Nathaniel Dorsky is thinking about film in still another way, in a metaphysical key. 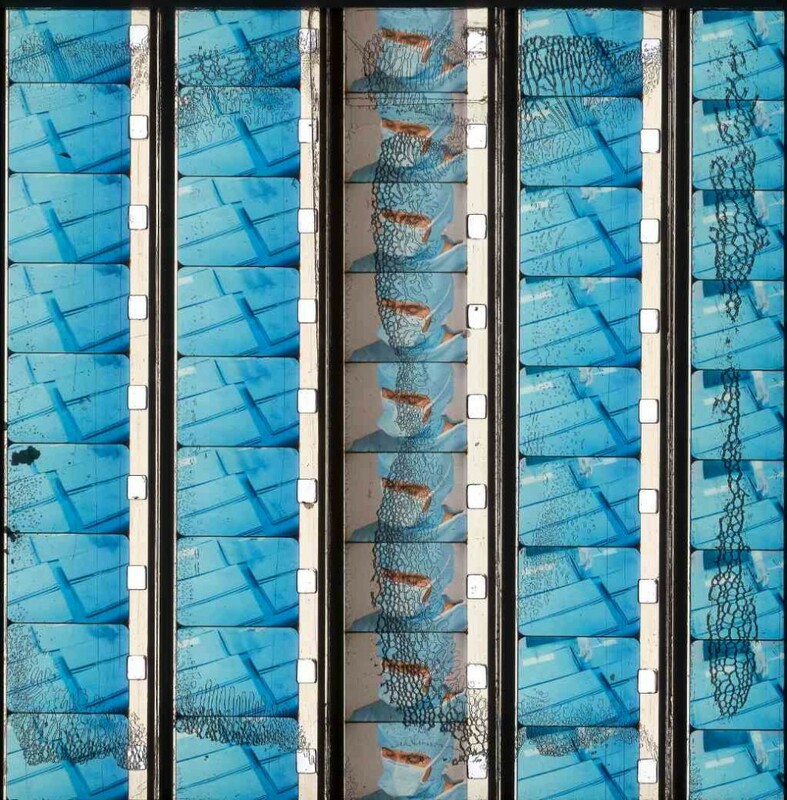 Nevertheless, they are all artists who are working with film, and the Biennial affords an opportunity to think about, as 16mm enters its twilight, what artists are interested in doing with this material. JD: So the artists are not resurrecting celluloid but reinventing it. Thomas Beard: One of the things that’s interesting right now—and you see this in the work—is that there are so many different textures and visual registers available to work with because film and video as technologies have changed so much over time. So if you look at the Biennial, you can see Nathanial Dorsky works in Kodachrome, Fujicolor, and different 16mm stocks. Kuchar’s video diaries are just a smorgasbord of consumer-grade video formats. The Biennial is a way of kind of thinking about all these different formats. the properties that are particular to them, and what artists are able to do with them. We are not sentimentalizing film or its endangered state. Even though these artists may be working with film. It’s not a way to mourn, it’s a way of continuing to think about the fresh pleasures and new aesthetic experiences those materials can provide. JD: You just reminded me of something that Paolo Cherchi Usai once wrote—he compares the process of moving image preservation to a physician who has accepted the inevitability of the patient’s death, even as he fights for the patient’s life. As a curator, I suppose you don’t see yourself as occupying a similar position? Thomas Beard: I’m always wary of illness as metaphor [laughs]. The fact that films are decomposing, the fact that stocks are discontinued, is a reality. There’s nothing that’s going to stem that tide. But the artists who choose to work with those materials will continue to do so for as long as they can. As long as they are still doing interesting things I will be there to support the work. I think the task at hand for curators now, in a broader sense, is to show these films in the way they were intended to be shown. While it’s great that new technology has allowed work to circulate in a way that’s completely unprecedented, it also creates a situation in which there’s a possibility of confusing art with information. Because work can migrate, does it mean that it necessarily should? In a museum exhibition, I think it shouldn’t. If Warhol made these works on 16mm, and also, in some ways, made them about 16mm, should they be shown on monitors or as video projections? I think to do so is to misunderstand the nature of the work in a fundamental way. JD: In contrast, you also included work shot on digital, that is readily available on DVD and that you can easily get on Netflix, for example. Why was it important for you to include these films? Thomas Beard: Well, for one thing, in the case of Meek’s Cutoff, you can get that from Netflix, but most people can’t see it with really nice projection in the scale in which it was designed to be seen, in a dark room with other people. Also it’s about highlighting the work of someone like Laura Poitras, and inserting that into the discourse of contemporary art. JD: The Whitney Biennial is always controversial, but what do you think about the protests against the biennial this year? Thomas Beard: As it happened, I was arraigned for an Occupy Wall Street related arrest the morning of the opening of the Whitney Biennial. I had a court date for an Occupy Wall Street related arrest because I participated in direct action on December 17 in the empty lot by Trinity Church. The fact that my court date coincided with the Biennial was a total coincidence. I definitely don’t agree with the OWS Arts and Labor group call to end the Whitney Biennial in 2014. The reason I became involved with OWS was to help work towards a more just and equitable society, and if someone is out there thinking about how they are going to pay for their groceries, or how they are going to stay in their homes, or how in general they are going to deal with an increasingly precarious situation, they are probably not saying to themselves, “If only they would end the Whitney Biennial.” Of course it is imperative that we think about the contemporary economic order and the kind of injustice that that perpetuates, and in turn, how contemporary art institutions are wrapped up in and affiliated with that order. Andrea Fraser’s contribution to the Biennial is very much related to this, and those issues are certainly on the table in the Biennial. Not that the exhibition solves those problems, but it does raise them. I guess my point is that it’s not so black and white, us vs. them, and that my personal experience is just a testament to that. JD: One last question: the Biennial claims that it provides a look at the current state of contemporary art in America—do you think that the film component of the biennial can also make that claim? Does it provide an snapshot of the current state of contemporary film? Thomas Beard: Definitely. Obviously it’s just one show, so it can’t speak for the state of American film culture in its entirety, but I hope that it does give a sense of the range of practices that are thriving at the moment.